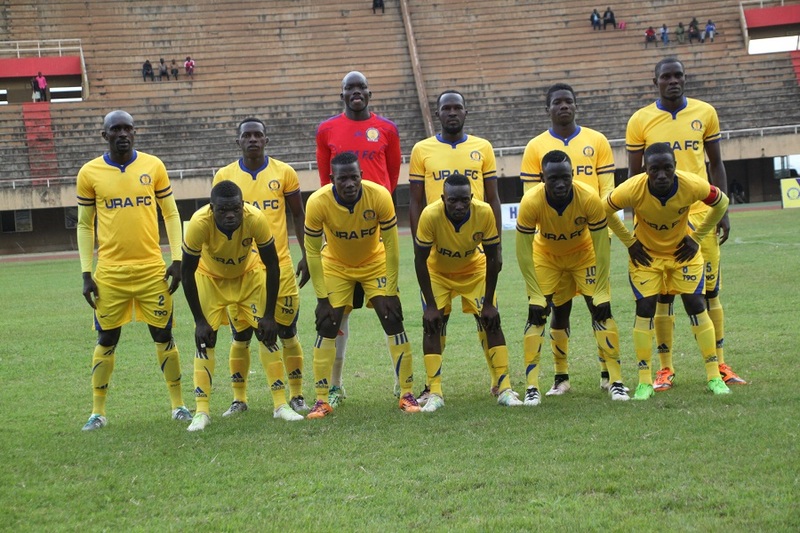 NAMBOOLE – URA FC earned a second victory on the trot as they defeated 10 man Onduparaka FC 3-1 at Namboole. Goals from Shafik Kagimu, Mathew Tayo Odong and an own-goal by Abel Etrude were enough to hand the Tax Collectors that lifts them into 4th on the log with 20 points. Vianney Sekajugo scored Onduparaka’s only goal in a game that saw them finish with 10 men after former KCCA FC Captain Denis Okot was given his marching orders by referee Alex Muhabi. After the URA started strongly, Kagimu opened the scoring for Sam Simbwa’s side with a penalty in the 23rd minute, the first time the four time champions have scored from the spot in three attempts. Eturude made it 2-0 in the 44rd minute, poking into his own net to ensure that URA race into a 2-0 lead. In additional time of the first half, Ssekajugo halved the deficit to give Simione Masaba’s side some hope. However, three minutes after the restart, Odong restored the Tax Collectors caution with his second goal in as many games. Despite both sides creating more opportunities, none would add onto their tally as URA won the game 3-1. The result means that URA maintains their unbeaten start to the league and move onto 20 points, 7 behind leaders KCCA FC who take on Bul on Saturday. For Onduparaka remains third on the log with 23 points from 13 games.